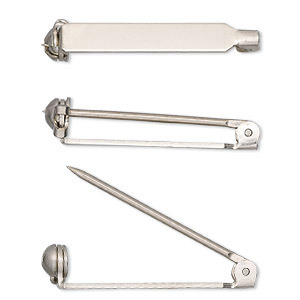 Pin back, imitation rhodium-plated brass, 3/4 inch heavy duty with locking bar. Sold per pkg of 10. 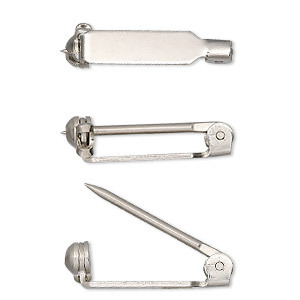 Item Number: H20-3316FN Have a question about this item? 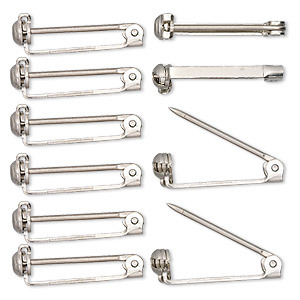 Make pins or brooches from almost anything! Bond or sew these pin backs onto any flat surface: plastic, beadwork, cabochons, feathers, and other crafters' materials, or a little of each! 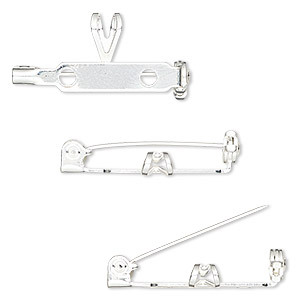 Pin back, imitation rhodium-plated brass, 1-inch with locking bar. Sold per pkg of 10. 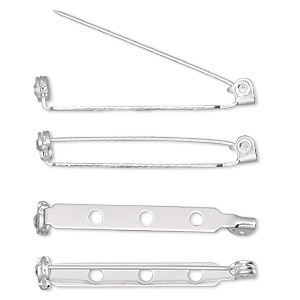 Pin back, imitation rhodium-plated brass, 1-1/2 inches with locking bar. Sold per pkg of 10. 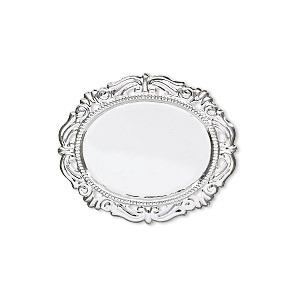 Pin back, silver-plated brass, 55x46mm filigree oval with 40x30mm oval setting. Sold individually. 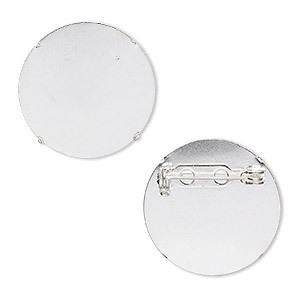 Pin back, silver-plated steel, 26mm round. Sold per pkg of 10. 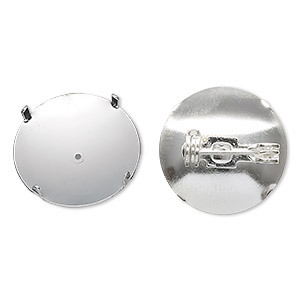 Pin back, silver-plated steel, 19mm round. Sold per pkg of 10. 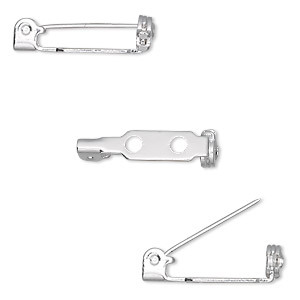 Pin back, silver-plated steel, 3/4 inch with locking bar. Sold per pkg of 100. 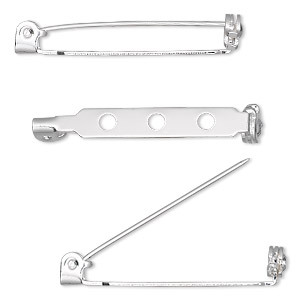 Pin back, silver-plated steel, 1-1/4 inches with locking bar. Sold per pkg of 100.